Under current plans, Yerkes Observatory is slated to close later this year. 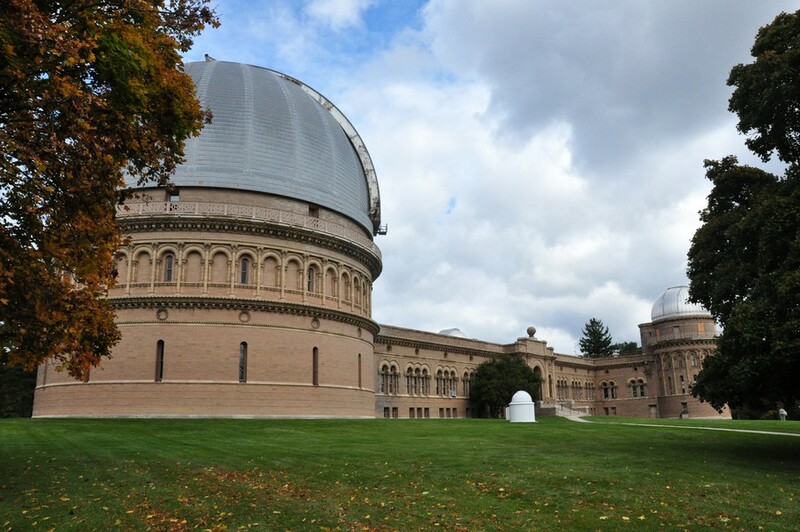 A group of residents of the Lake Geneva area of Wisconsin, which is home to UChicago’s moribund Yerkes Observatory, has stepped forward with a proposal to save Yerkes that they say the University has expressed interest in. The University has been seeking proposals for the future of Yerkes since late April, according to the Division of the Physical Sciences website. The University said in its call for initial proposals that groups should send in “Expressions of Interest” (EOIs) by June 15. According to a news release, “the Yerkes Future Foundation (YFF) [on May 2] sent an ‘Expression of Interest’ letter…indicating that concerned citizens of the Geneva Lake areas have come together as a cohesive organization with the desire to work with the university regarding the transfer of ownership of Yerkes Observatory, including its contents and associated land.” The EOI was sent to David Chearo, associate vice president of the University. “The goals of YFF are to preserve the historic features of both the observatory building and the site and at the same time make the facility open to the public, available for youth development and continuing education as a science center,” the release said. According to Dianna Colman, chair of the organization, many of the people involved with YFF were involved in the successful effort to stop the University from selling the site to developers in 2006. YFF declined to share the text of their proposal, citing the need for confidentiality during the process. Colman said the proposal addresses the preservation of the observatory facilities and continuation of its programming, as well as the possibility of coordinating efforts with other universities. She anticipates that YFF’s proposal will require fundraising for an endowment of around $10-15 million, which will go to fund repairs, maintenance, operation, and similar needs for Yerkes. “[YFF’s members want] to fashion a good transition for Yerkes Observatory and the property, given the announcement that the University made,” Colman told *The Maroon*. “We’re trying to be as confidential as possible with the University, because anytime you’re working with a project of this scope, you have to be really sensitive to the other party.” She acknowledged it could be challenging to keep residents of Williams Bay informed while respecting that confidentiality. Colman said that the University has already responded to YFF’s proposal for the site. The University declined to comment on any potential discussions about the proposal. Colman said there are plans to register the group, which has not been formally incorporated yet, as a 501(c)(3) nonprofit, once the group begins substantive discussions with UChicago. The group will be holding a meeting on Monday, May 14 in order to update community members and discuss next steps. Colman expects a large turnout at the meeting, which she says will be livestreamed and include sign-language interpretation. Community response to YFF, Colman said, has been overwhelmingly positive. Lawyers and financial professionals from the community have also been helping YFF pro bono, she said, and the group has been receiving local media coverage. The University will be holding another meeting on Friday, May 18 in Williams Bay to discuss the future of Yerkes with community members. In a previous community meeting, the University said that it will not demolish the observatory even if no solution is found by October 10, the date scheduled to pull out of Yerkes.